Is that you 2019? You got here fast! Where did the time go? While 2018 seemed to zip by for many of us, 2019 has much to offer: new opportunities, new experiences, and new memories to be made. 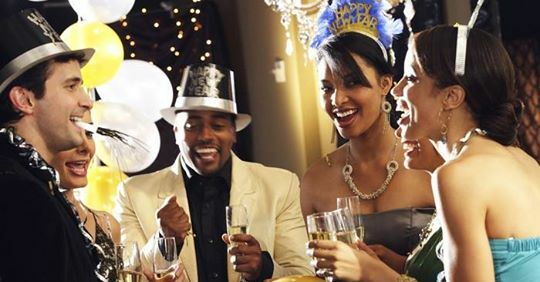 We know you want to finish out the year with one last “hurrah!” and welcome in 2019 in proper fashion, so we compiled a list of the best hotels to party and stay at on New Year's Eve in St. Petersburg and Clearwater. From 8 p.m. to 1 a.m. on New Year’s Eve, Tradewinds Island Grand Resort in St. Pete Beach will open its Grand Ballroom to host their Toast by the Coast celebration. The festivities at this hotel will feature two live bands, Motel Funk and The Railway Kings, who will bring their pop, funk, country, soul, and rock n’ roll. Be sure to enjoy an array of food and drink options at the hors d’oeuvres buffet and open bar. At midnight, there will be a champagne toast and balloon drop to ring in the 2019! Be sure to get in on the fun with the Toast by the Coast package including two tickets for two nights! Reservations are required, so be sure to claim your spot! Rock your way into 2019, just steps away from the pristine sands of St. Pete Beach at The Don CeSar New Year's 2019 Celebration! Dj Coro will be keeping the party hot while mermaids, Brazilian dancers, fire breathers, and stilt walkers fill the pool deck. 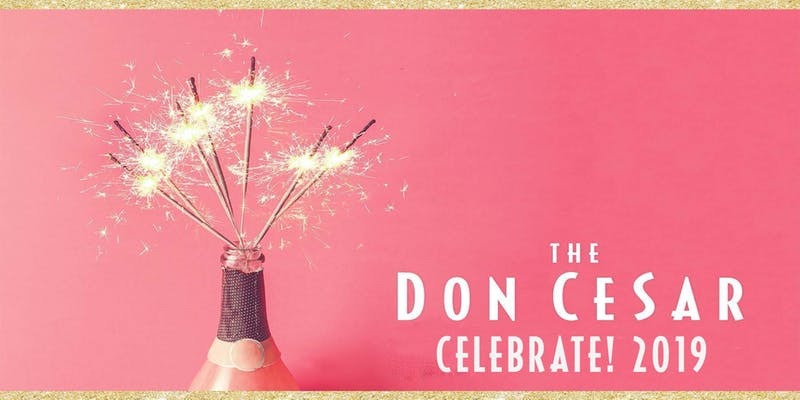 The Don Cesar welcomes all to join in the “Pink Palace”-style celebration as the bell rings midnight with a beach ball drop and entertainment for everyone. VIP tickets are available and will include open bar access and hors d’oeuvres. Tickets are limited and must be purchased in advance for VIP and General Admission! In addition to the outside celebrations, the hotel's lobby bar will be open to the public and feature live entertainment by Shawn Brown Entertainment from 9:00 p.m. to 1:00 a.m. General Admission: come one, come all with no charge! Ticket registration must be done online only and will not be available at the door. Children 16 and under will not need a ticket for entrance. Each year in Downtown St. Petersburg, The Birchwood’s New Year’s Eve Party sells out! Why? Find out for yourself! The celebration at this hotel features two floors of open bar from 8 p.m. to midnight. Party-goers will have exclusive access to The Birchwood’s private event at The Canopy. 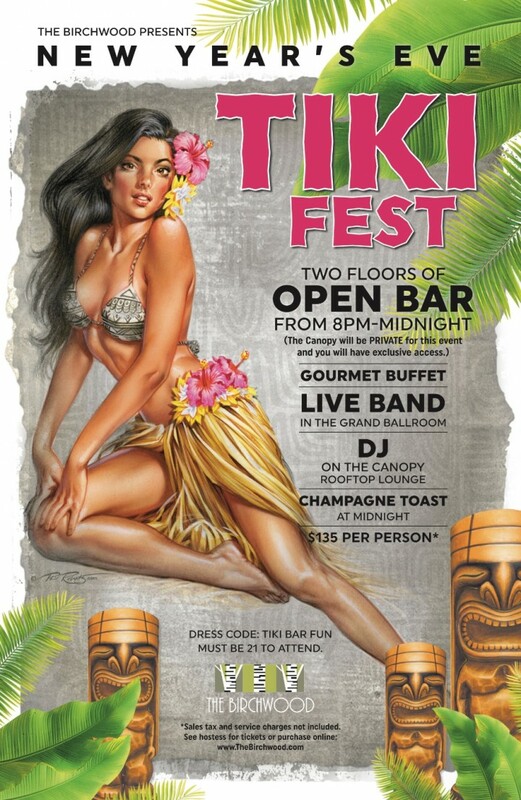 With a gourmet buffet, live band, DJ on the rooftop, a champagne toast at midnight, dancing, entertainment, and much more, you won’t want to miss out! 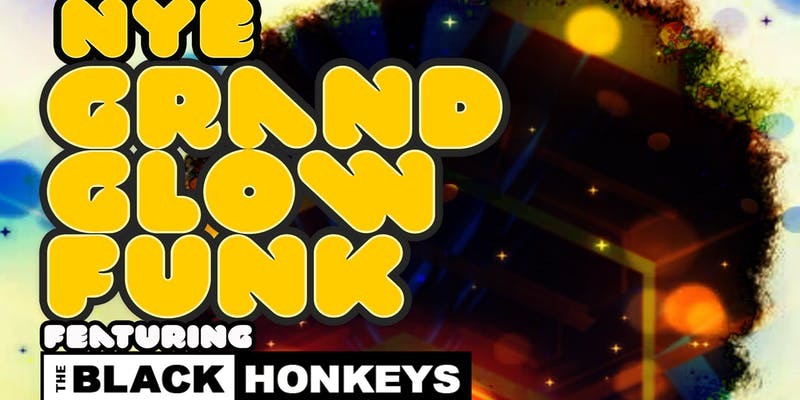 The event will be on New Year’s Eve from 8 p.m. to 12 a.m.
Get down with your bad self in Clearwater Beach at Wyndham Grand’s New Year's Eve Grand Glow Funk Party! You won’t want to miss the delicious appetizers, festive cocktails, or everyone’s favorite New Year's Eve jam band, The Black Honkeys! VIP admission includes Grand Glow Bar access, complimentary drink specials, VIP seating near the stage, appetizers, party favors, and a champagne toast. Be sure to reserve your tickets today! Stay at this hotel on New Year's Eve or all week! Rooms are booking up fast, so secure your spot ASAP! Related content: Visiting? Here are the Best Waterfront Dining Restaurants Clearwater has to Offer! 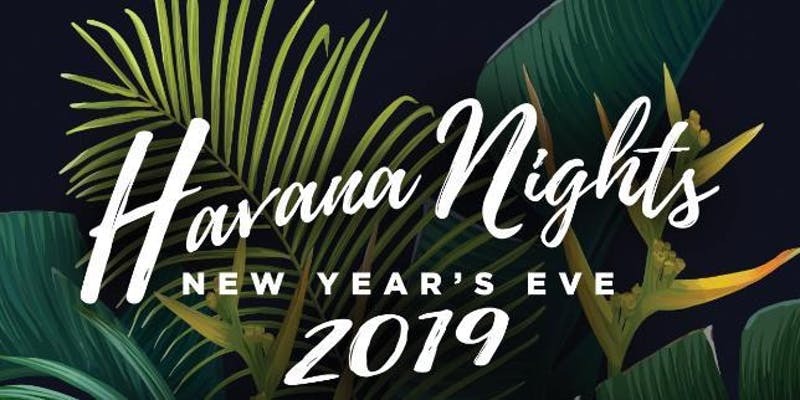 Explore the quaint beauty of charming Safety Harbor and ring in the new year at Safety Harbor Resort and Spa Havana-style! On New Year's Eve, enjoy decadent hors d’oeuvres and a dinner buffet (8:30 p.m. to 11 p.m.), a two-hour open bar (8:30 p.m. to 10:30 p.m.; cash bar after 10:30), and live music from the Ray Olan Band accompanied by salsa dancers! A champagne toast and party favors will be served at midnight as this hotel celebrates the New Year; be sure to reserve your tickets! Looking for other options for a New Year's Eve getaway? Be sure to check out deals at The Hotel Zamora, Bilmar Beach Resort, Hyatt Regency Clearwater, and Opal Sands Resort, all highly renowned establishments sure to start your new year off right! For more ideas on celebrating New Year's Eve in St. Petersburg and Clearwater this weekend, check out 727area, your local guide to your favorite city!